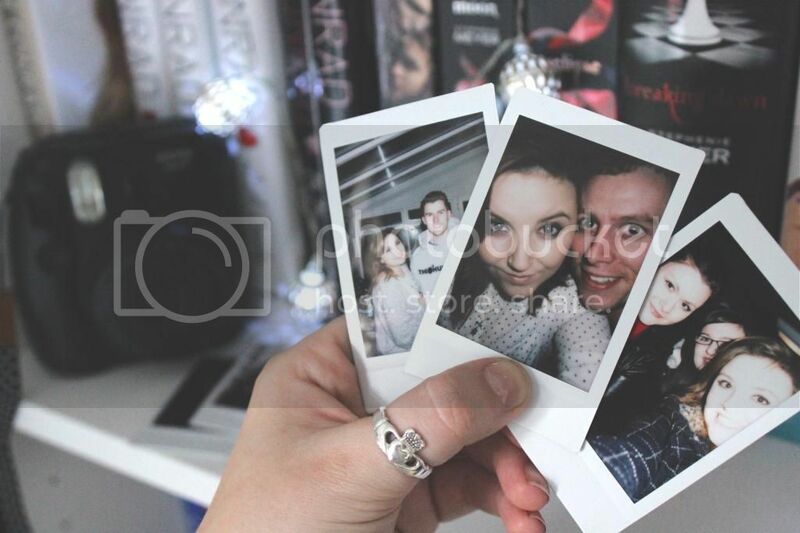 Instax Mini 8 Polaroid Camera; Obsessed With Instant Photos. 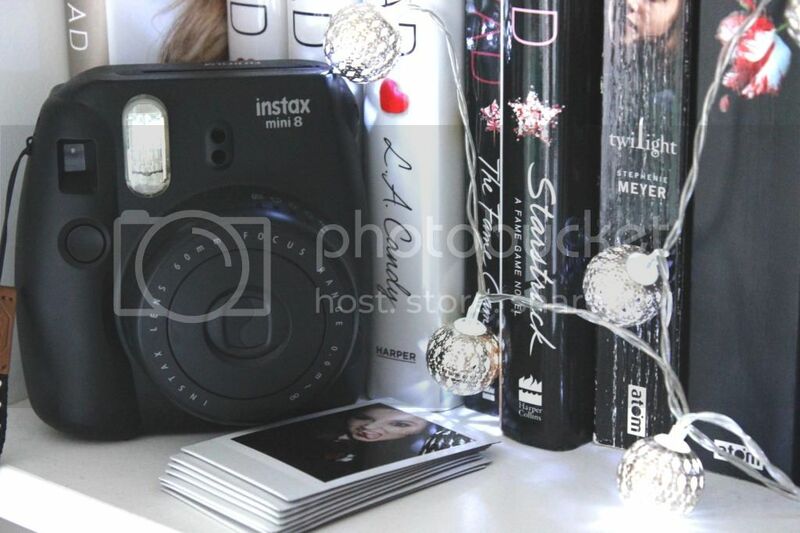 Instax Mini 8 Polaroid Camera. Ekk, I'm sure you all have that one item that's been on your wish-list FOREVER? Well, this has been on every birthday, christmas and wish list since I can remember. My mom owned a polaroid when I was younger and I've wanted one pretty much ever since. This was my final present I opened from my boyfriend on the evening of Christmas Day, sadly the excitement of this it was like the rest never matter (but they did, and they were all wonderful)...but he's aware of that, he just knows how excited this made me. Along with the polaroid, he also brought my 3 packs of film, which amounts to 70 photos for me to take, HOW SWEET. Now Tom doesn't show much interest in cameras, photography or even being in photos, so he's never been one for discussing camera with me and just shrugged it off ever time I mentioned this one. So when he took all my hints and got me this, my little heart slightly exploded. n so far has been in the evenings, so the home setting works perfectly...I did try one in the middle of the afternoon, but that didn't work out too well which I think was my own fault for not changing the setting or changing it, I can't really remember now, oops! Although I'm packed up enough with loads of film ready for my times of excessive photo taking, I'm trying to be patient and take limited photos with this camera. Mainly because I want to remember those days for that one photo instead of the 200+ I normally take on my digital camera.I want to find some way of keeping hold of these photos, whether I stick them in a photo album or frame or finding another way, so I'm open to suggestions if anyone has any? Do you own a Polaroid? Or have you been longing for one like me? I want one of these so badly, I have a classic polaroid, but the film is so, so expensive! These are too cute and I love the prints! Get on over to Pinterest for some framing/saving ideas for your pictures. I really like the idea of hanging them downwards on fishing line or twinkling indoor lights or turning them into drinks coasters. I want one of these so much! They are a tad pricey but at some point I will find a way to get one! I'm obsessed as well but I need to buy one myself in pink. I have a few prints from friends but it's not like having your own. Glad your loving yours. It's been ages since I've taken photos with a Polaroid camera, but I have many fond memories of the photos I took with mine decades ago. I remember seeing an advertisement for one of the newer Polaroid cameras - one that had a timed delay so one could get into the photo. It sounded very attractive to me. I think it's a great gift, because you don't need to have it developed somewhere and don't need a computer. Also, if you do decide to share it you can always scan them in someplace. How much is something like this? I think I need to get my hands on one! As a family we have a really old one but I never got to use it! So having this one is awesome, you really need to get one when you can! It's my favourite thing ever now, I have a few cameras but this one excites me the most! The price has put me off making the purchase myself, I'm so grateful that it was a present! And I know it wont go to waste either way!